W0EQO has returned to service. Thanks to Bill, N0CIC, for rebooting the host computer! W0ZSW is back on line with a new host computer running Windows 7 and an IC-7200. IRB sound is no longer available as a sound option for transmit and receive. All sound is ported by Skype. Since the IC-7200 is not directly supported in the W4MQ software, some functions on the interface are not available. The basic functions of mode, frequency, and transmit/receive are available as usual. Please hang up your Skype call when finished using the station. The TS-480HX has failed at W0ZSW. The transmitter has no RF out. The radio has been removed from service and we are trying to find a replacement. W0ZSW will be offline periodically during testing of a new TS-590S station running Kenwood ARHP-590 hosting software. 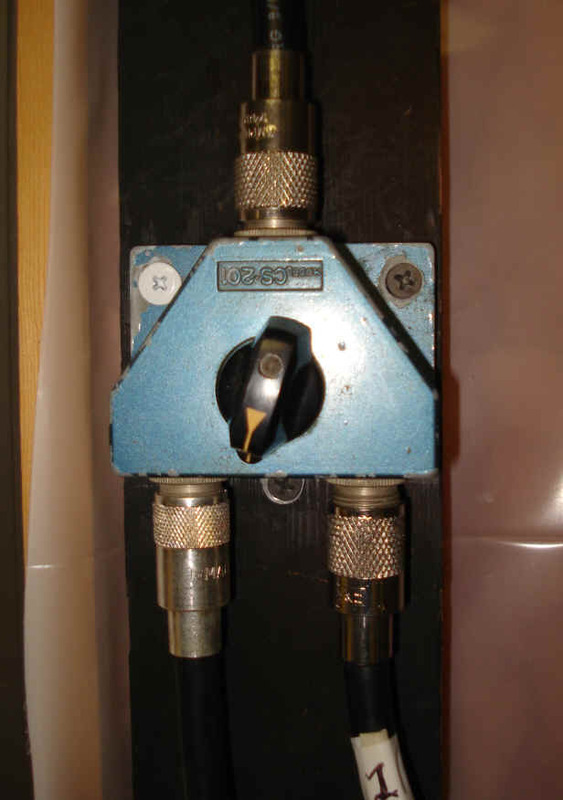 While the TS-590S is in use, the antenna will be unavailable for W0ZSW and the station will be offline. Please use W0EQO instead. Deep Space Climate Observatory (DSCOVR) satellite was successfully launched from Cape Canaveral, Florida on February 11, 2015. NOAA’s DSCOVR satellite launched successfully at 6:03 pm ET on February 11, 2015, from NASA’s Kennedy Space Center in Cape Canaveral, Florida. Watch the DSCOVR launch on NASA’s YouTube channel. Visit www.nesdis.noaa.gov/DSCOVR for more about NOAA’s first deep space mission. NOAA’s Deep Space Climate Observatory (DSCOVR) lifted off from Cape Canaveral, Florida, at 6:03 p.m. EST on its way to an orbit one million miles from Earth. DSCOVR will give NOAA’s Space Weather Prediction Center (SWPC) forecasters more reliable measurements of solar wind conditions, improving their ability to monitor potentially harmful solar activity. Read the entire story on NOAA.gov. Both stations are off line at once, which is unlikely since they are located hundreds of miles apart and share no common infrastructure. Your own internet connection is down or there is some reason your computer running the client software is not connecting to the internet. This is the more likely place to look for a problem. Open a website and make sure that you are connected to the internet. Sometimes Windows Update may cause this to happen. Install the updates and reboot. Everything should now work fine. The beta version of the W4MQ software has been removed. Thanks to all who helped with testing. We recommend using the last stable client. My husband, Bruce (N1LN), is definitely a real contester and true DX chaser. He has been anticipating the Navassa Island DXpedition as I’m sure many of you have also. Be sure to check the DXpedition’s website for further information: http://www.navassadx.com/ Happy hunting! On the weather front, may the temperatures be a little warmer this month than they were in January. Be sure to check out the updated Handiham Net information. There are several opportunities throughout each week. Exam sessions can be found by state, country, or proximity to a specific US zip code. Click on the state where you will take the exam. Examiners are listed by zip code within the state. Contact the examiner to determine the next exam session. We are on the air daily at 11:00 (USA Central Time), plus Wednesday & Thursday evenings at 19:00 (USA Central Time). If there is not a Net Control Station available, the net will be a simple roundtable. USA Daylight Time Change: All nets remain true to local USA Central Time – For example, 11:00 AM both summer and winter. In the summer during DST, the difference between MN time and GMT is -5 hours. In the winter during standard time, the difference is -6 hours. Wednesday & Thursday sessions at 19:00 Central Time. Twin Cities: All of these are Echolink connected at all times. 444.325 MHz with 131.8 Hz tone – MSP International Airport – perfect for travelers! Welcome to the NX0P repeater, 146.685 with a tone of 100Hz, Echolink node number 513917. The NX0P machine is near Albert Lea in far southern Minnesota, near the busy intersection of US Interstate highways 90 and 35. 147.500 no tone, K0VVY-L, Rapid City SD. KA0PQW-R, node 267582, Ellendale, MN, 442.925 with tone 114.8 Hz and 224.64 MHz with tone 110.9 Hz or touch tone access 11. No ham radio license? No radio? No problem! 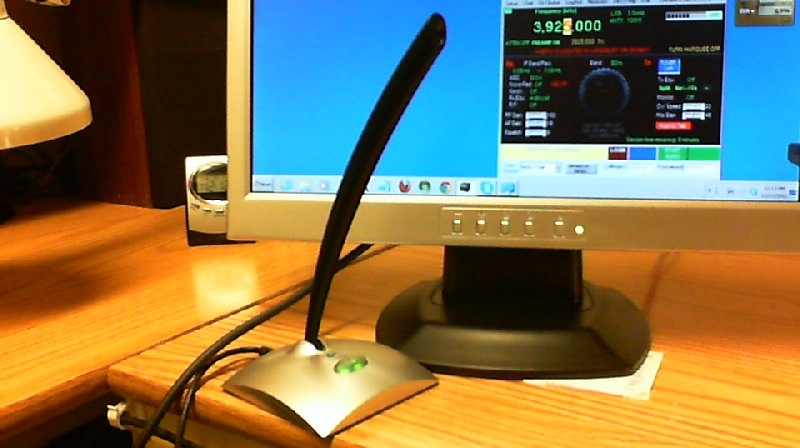 Listen to our net on line using your computer or tablet/smartphone at 11:00 AM Central Time daily – Everyone welcome! All nets are to be identified as Handiham Radio Club nets at the beginning of the nets and when the NCS identifies the nets, consistent with FCC regulations and good operating practice. The Net Manager sets policy and must be informed about and approve any substantive changes. The Net Manager will approve net information before it is posted on public Handiham websites. Everyone will work together as a team, maintaining a positive, helpful, and respectful attitude. Join our worldwide daily 11:00 AM USA Central Time Echolink net and a roundtable session on Sundays. If you are not available during the daytime, try our 7:00 PM USA Central Time Wednesday evening session that includes a trivia question. All licensed operators are welcome. The net is controlled but informal, and there is no need to be a Handiham member to participate. Sometimes the net control station will throw out a discussion topic to liven things up! Listen in a few times if you are shy, and then take the plunge and throw out your callsign. Operating tip: Because so many different nodes and repeaters are connected across the world, there can be a bit more delay between transmissions than you might be used to. Be sure to allow a few seconds before keying after the net control station calls for check-ins. This allows the nodes and repeaters in the network to all get synchronized. The Wednesday evening Echolink net is at 19:00 United States Central Standard time, which translates to +6 hours, or 01:00 GMT Thursday morning during North American Standard Time. (In the North American summer during DST, the GMT schedule is +5 hours.) Connect from any Internet-enabled computer in the world, and come out on Twin Cities repeater N0BVE on 145.450. Remember that GMT is AHEAD of Minnesota time, so to translate to GMT you need to add 5 hours in the summer and 6 hours in the winter to Minneapolis time. On the second Sunday of March in the United States, we move to Central Daylight Time, at least in most places. That means that hours for our daily nets are adjusted accordingly, beginning with the midday Echolink net, which is on at 11:00 Minnesota time. Since the local time has shifted ahead one hour, you will now find the daily net at 11 + 5 = 16:00 GMT Monday through Saturday. The answer is that we have tried staying with GMT in the past, but received complaints from net members who liked staying on their local time schedules. Also, we ran up against other nets using the same frequencies unless we maintained the “local” times. 7.112 MHz CW, 09:00 – 12:00 ET, plus whatever time is needed to wrap up the last contact: This is the Handiham Informal slow speed CW Net. Look for Paul, W8IRT. You may e-mail Paul at w8irt@aol.com with your ideas and signal reports, or to find out about schedule changes for the CW net. Paul advises us that the net remains true to local time, which means a one hour shift when changing to or from Daylight time in the Spring and Autumn. Everyone is welcome. You do not need to be a member, and the net is relaxed, friendly, and informal. The PICONET does have an assigned net control station and will take NTS traffic. It has a long time association with the Handihams. Handiham members can easily participate in PICONET via the remote base stations W0EQO or W0ZSW. If you have a correction in any part of the net schedule, please e-mail wa0tda@arrl.net. For an extensive list of contests that will take place in February, you should check out the following URL: http://www.hornucopia.com/contestcal/. Feb 18-Feb 28, 0000Z-2300Z, K5J, Harlingen, TX. Fun N Sun Ham Radio Club. 147.140. Certificate. Dolores Maeder, 1400 Zillock Rd, Lot-Neighborly 134, San Benito, TX 78586. 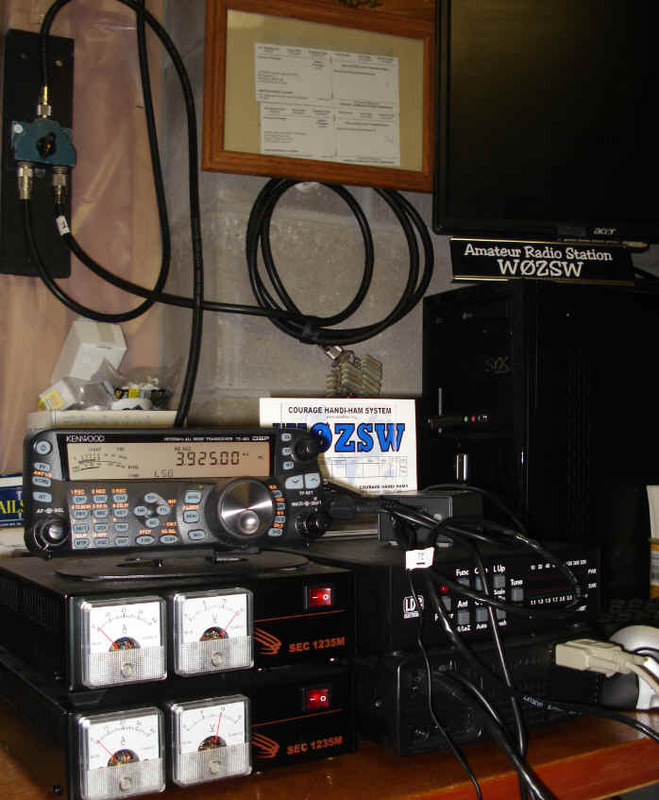 IRB station W0ZSW went offline Sunday evening February 1 due to a network failure. It is on line as of Monday morning, February 2, 2015. Please notify us if you cannot resolve the IP address and get an “Available” on your W4MQ software interface.